Dr. Reynolds-Morgan is a 1993 graduate of Howard University in Washington, DC where she received her Bachelor of Science Honor in Biology. While at Howard, she was inducted into the Beta Kappa Chi National Scientific Honor Society. 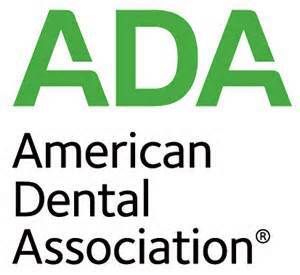 In 1999, Dr. Reynolds-Morgan received her Doctor of Dental Medicine degree from the University of Medicine and Dentistry of New Jersey and became a member of Gamma Pi Delta Prosthodontic Honor Society. Also while in dental school, she participated in an externship at Staten Island University Hospital in Staten Island, New York. In 2000, Dr. Reynolds-Morgan completed a General Practice Dental Residency at Bronx Lebanon Hospital Center in Bronx, New York where she received extensive training in the treatment of dental emergencies, head and neck trauma, oral surgery, pediatric dentistry, root canal therapy, cosmetic dentistry, and other aspects of general dentistry. Before relocating to Georgia, Dr. Reynolds-Morgan served three years as Dental Director of Horizon Health Center located in her hometown of Jersey City, New Jersey. She was active in her community providing dental screenings to school-age children as a Colgate-Bright Smiles, Bright Futures volunteer and participating in high school career days. Dr. Reynolds-Morgan continues to expand her education through continuing education courses which include but not limited to cosmetic dentistry courses offered by the Dawson Center for the Advancement of Dentistry and certification courses in Invisalign and also additional courses in cosmetic braces system Six Month Smiles. 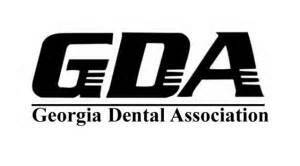 Dr. Reynolds-Morgan is currently a member of the American Dental Association, the Georgia Dental Association, and the Northern District Dental Society. Dr. Reynolds-Morgan is highly active in her community as she is a member of Berean Christian Church Gwinnett and the Gwinnett County Alumnae Chapter of Delta Sigma Theta Sorority, Inc. Dr. Reynolds-Morgan is also a very proud 2018 graduate of Leadership Gwinnett.